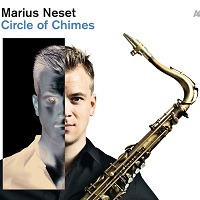 Norwegian saxophonist/composer Marius Neset's prowess as a powerful, inventive saxophonist is well noted, yet his trajectory as a composer has been equally fascinating to behold. His debut as leader, the impressive Suite for the Seven Mountains (Calibrated, 2008), demonstrated early compositional ambition with the use of violin, viola and cello. 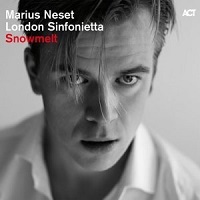 Neset's ongoing involvement in Jazz Kamikaze meant a follow-up solo recording would have to wait, but Jazz Kamikaze's oddly pop-centric, anthemic Supersonic Revolutions (Seven Seas Music, 2010) was also bolstered by violin, viola and cello, not to mention choir, perhaps pointing to ideas then fermenting in Neset's mind. 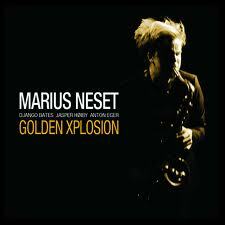 Neset's intoxicating Golden Xplosion (Edition Records, 2011) marked a significant leap forward, with the Norwegian's striking compositions and exhilarating improvisations garnering universal, rave reviews. His next collaboration could not have provided starker contrast to Golden Xplosion. 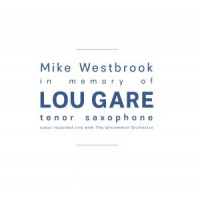 In tandem with tubaist Daniel Herskedal, Neck of the Woods (Edition Records, 2012) saw the saxophonist explore folk/choral-influenced music in duets of often ethereal beauty that further underlined the breadth of Neset's sonic palette. 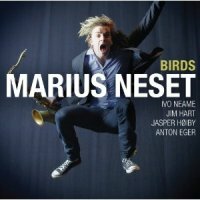 It maybe should not come as a total surprise therefore, that BirdsNeset's third recording as outright leadercombines folk melodies, driving jazz syncopation and rich orchestral layers drawn from trumpet, trombone, French horn, accordion, tuba and flute. 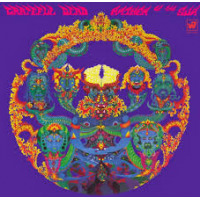 It's a heady concoction that surprises at every turn and enthralls in its stirring ensemble passages and epic scope. "Birds" has the hypnotic pull of Ravel's Bolero and all, if not more, of the drama. 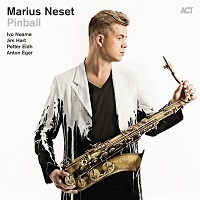 Bjarke Mogensen's accordion dances merrily over Neset's compulsive riff, his melody cut intermittently with vertiginous tumbling lines, while Jim Hart's vibes add subtler textures. 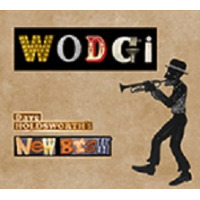 When drummer Anton Eger and double bassist Jasper Hoiby enter, propelled by Daniel Herskedal's bass-like tuba and riffing trumpets, the music lifts and soars. Neset jettisons the brass to pursue a morsel of an idea on tenorsupported by bass, drums, vibes and pianist Ivo Neamewrestling and sparring with it until form emerges that steers the quintet back to the former heady heights. And, when the musical fireball seems spent, Ingrid Neset's flute leads a classical coda that ends in a stirring ensemble exclamation. It's an extraordinary, thrilling start. Classical overtones color "Reprise," with Neset's elegiac soliloquy buoyed by the brass. 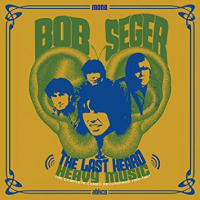 The absence of the rhythm section until the end, when Eger joins a gradual crescendo, instills an abiding sense of calm in the arrangement. The quintet number "Boxing" begins with idiosyncratic interlocking rhythms, moves through free territory guided by Neset's punchy tenor, and arrives at a lyrical plateau where Hart's graceful solo demonstrates why he's one of the most in-demand vibraphonists in the UK. A charging conclusion rounds out another episodic journey. The balladic opening to "Portuguese Windmill" gives way to Neset's lively soprano and tight quintet interplay before Neame's delicate intervention, followed by Neset, restore the music to its peaceful beginning. Neset and sister Ingrid on flute dovetail on the celebratory "Spring Dance," which combines elegant composition, free-wheeling improvisation and hybrid classical/folkloric melodies over percolating percussion. Even on the more straight-ahead tune, the Pat Metheny-esque "Fields of Clubs" there's nothing predictable about the tune's contours, though Neset's ideas, melodic and knotty in turn, flow seamlessly into one another. Ethereal saxophone and a pretty vibraphone melody blend beautifully on "The Place of Welcome," with Høiby's probing intervention lending an earthy gravitas. There's a suite-like continuity to the final four numbers, which flow uninterruptedly for twenty minutes. 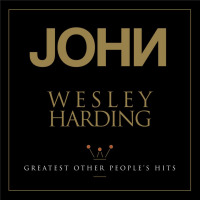 Piano and soprano gently usher in "Sacred Universe," which gathers momentum through Hoiby and then Neame's charged improvisations. Neset takes over the reins with a barrelling solo, though the song's initial quiet introspection returns to lead into "Math of Mars," a choral and orchestrally-inspired section of haunting simplicity. Eger's drum tattoo provides the bridge to "Fanfare," a rousing large ensemble statement of undeniable energy and bravura that roars triumphantly. 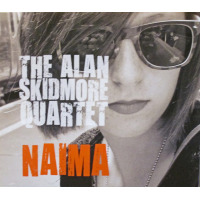 Neset has upped the ante; the quintet passages alone suggest that this is one of the most exciting small jazz ensembles today, but the fine individual performances are outshone by the strength of the writing. The variations in tempo, mood and contrasting dynamics makes for constantly absorbing and often surprising listening, but Neset's real art is to weave his myriad ideas into a seamless unfolding tapestry. Neset is above all else a modernist, and Birds, with its vibrancy and sweeping imagination, is as likely to resonate with fans of composers Igor Stravinsky and Frank Zappa as it is with admirers of saxophonists/composers Michael Brecker or Wayne Shorter. An early contender for record of the year. Highly recommended. 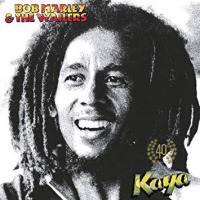 Track Listing: Birds; Reprise; Boxing; Portuguese Windmill; Spring Dance; Field of Clubs; The Place of Welcome; Introduction to Sacred Universe; Sacred Universe; Math of Mars; Fanfare. 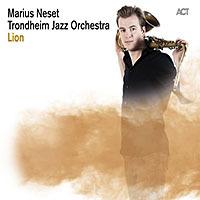 Personnel: Marius Neset: saxophones; Ivo Neame: piano; Jim Hart: vibes; Jasper Høiby: double bass; Anton Eger: drums; Ingrid Neset: flute, piccolo flute; Daniel Herskedal: tuba; Bjarke Mogensen: accordion; Tobias Wiklund: trumpet; Ronny Farsund: trumpet; Peter Jensen: trombone; Lasse Mauritzen: French horn.